Thank you for sending photos and prayers about DR Congo. MWC sent your encouraging words to the churches there. Please keep praying for our brothers and sisters who continue to experience political uncertainty and civic upheaval. On World Fellowship Sunday, we worship around a common theme, remembering our common roots and celebrating our worldwide koinonia (communion). Though we worship in different ways, we are united in Christ, as the Holy Spirit transforms us. Thanks to all the congregations who submitted their stories and photos. Please continue to share how your congregation celebrated WFS with photos@mwc-cmm.org. In June 2016, youth and young adult groups organized activities around the YABs Fellowship Week theme in India, Paraguay, Zimbabwe, Colombia, Botswana, and India. During these celebrations youth praised the Lord and prayed for brothers and sisters around the world. YABs Fellowship Week is an annual event in which the Mennonite World Conference (MWC) YABs committee creates worship resources for young Anabaptists from around the world to celebrate around a common theme during the same week in June. Click on the title above to see photos from YABs Fellowship Week 2016, and click here to see materials for 2017. One project of the MWC Deacons Commission, the Global Church Sharing Fund’s (GCSF) aim is to put into action the apostle Paul’s words on equality: “your surplus meets their need, but one day your need may be met from their surplus” (2 Corinthians 8:13–15). 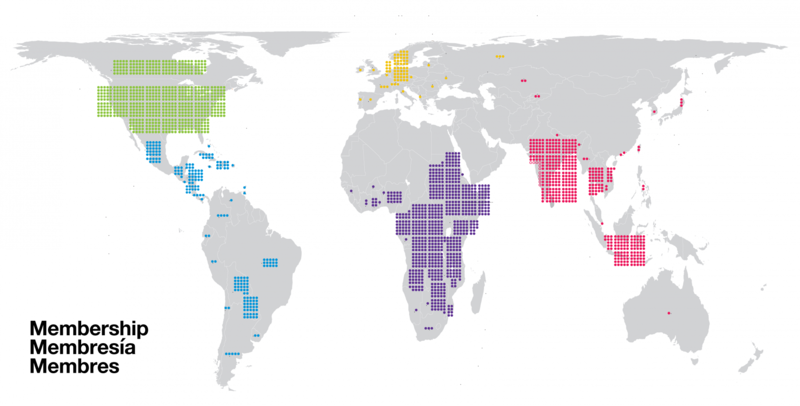 Two-thirds of the 1.8 million Anabaptist believers reside in Africa, Asia and Latin America, but 95 percent of Anabaptist wealth resides in North America and Europe. The GCSF provides one small method “to redistribute wealth in the biblical spirit of jubilee.” In 2016, five church projects received funds of $10,000 or less each from the GCSF, to be spent to advance the life and mission of their churches. Click here to read a story about “Canadian renovation builds church in Latin America”, click here to read a testimony about a GCSF supported project in Tanzania, and click here to read more about the GCSF. Music from other cultures, Scripture readings on a common theme, shared food and special offerings characterize World Fellowship Sunday, a celebration of Anabaptist family in Mennonite and Brethren in Christ churches around the world 22 January 2017. The theme of 2017 was “My cry is heard,” reflecting on God’s faithfulness amid hardships in the global displacement crisis and personal challenges in life (Psalm 40:1-10, Genesis 11:1–9, Acts 2:1–18). The worship resources package downloadable at www.mwc-cmm.org/wfs can be used any Sunday of the year to help churches to celebrate the global Anabaptist communion. To view the photo album from this event click the title above and to read the news release click here. Nearly 400 women from India and Nepal attended the All India Mennonite Women Conference in Chandwa, Jharkhand, India. Many traveled by bus, train and foot to attend, despite the heavy downpour of rain. To view the photo album from this event click the title above and to read the news release click here. In July 2016 KyongJung Kim, MWC Regional Representative for Northeast Asia, visited Japanese Anabaptist churches. He shared with them about MWC´s mission and vision, explored questions about the how the global Anabaptist church can grow together and what it means to be an Anabaptist in the context of Japan. All photos courtesy of KyongJung Kim. To view this photo album click on the title above, click here to read a reflection from KyongJung Kim about his visit to Japan, click here to see more photos on the MWC Facebook page. World Fellowship Sunday is a date to remember our roots and together celebrate Koinonia. Take a look at the pictures our member churches have shared from their celebrations. From a song to a lunch offering, were just some of the activities our brothers and sisters engaged in. To see the photo album, click on the title above or on the image on your right. The Taiwan church is known as a praising church, and praise through music was an integral part of the 60th anniversary celebration of the Fellowship of Mennonite Churches in Taiwan (FOMCIT). This was held on 25-26 October 2014 with more than 1,100 Taiwanese Mennonites in attendance.To view this photo album click on the title above, click here to read more about this event. On 18 May, 2014, the three Anabaptist conferences in Colombia came together for a United Worship Service, a Fraternal Anabaptist Encounter, with MWC visitors who were in Colombia for the Executive and YABs Committee meetings. To view this photo album, click on the title above. To see more photos from the event on the MWC Facebook page, click here. In Indonesia, many Javanese churches have a unique tradition of thanksgiving to the Lord called “Undhuh-Undhuh”. They have a church service led by the pastor to give thanks for God’s goodness and mercy. A week before the service, churches are asked to prepare a decorated table in front of pulpit or some other place in the church, so worshippers have enough time to prepare the best that they can bring to church on World Fellowship Sunday. Click here for more on MWC's World Fellowship Sunday 2014. An enthusiastic and joyous welcome and long lists of needs greeted a Mennonite World Conference delegation during a visit to member churches in Angola the first week of September 2013. For more information read the full article here. Leaders of European Mennonite conferences held their annual meeting in Elspeet, Holland, in November 2012. There was discussion about creating a centre of coordination, the renewal of the peace witness and the varied perspectives of the churches in Europe. For more information read the full article here. Photo gallery - Anabaptists from Bolivia, Argentina, Uruguay, Paraguay, Brazil and Chile came together for the biannual gathering of the Mennonites of the Southern Cone, in Chile, 23-27 January. For more information read the MWC story about the Southern Cone Gathering, and the MWC story about the Latin America Women Theologians. Hanspeter Jecker, professor of history at Bienenberg Seminary near Basel, Switzerland, led one of the Anabaptist tours during the May 2012 meeting of the Mennonite World Conference General Council.